This meeting took place in a ballroom in the Manadrin Oriental hotel with stunning views of Central Park. 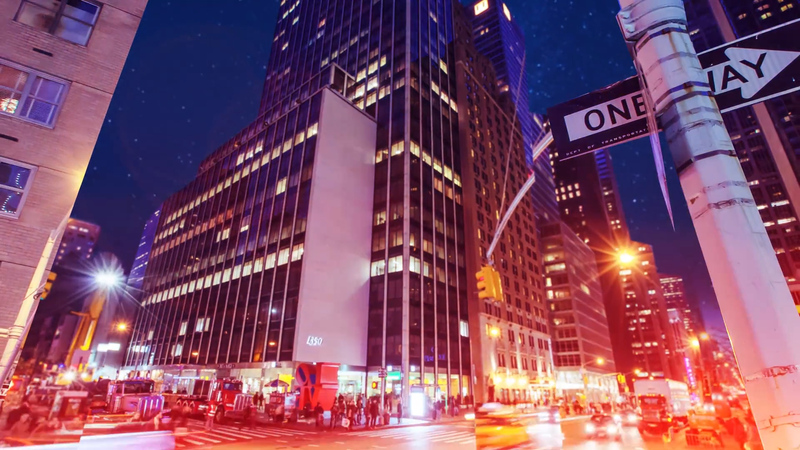 It started with an opening video of some of SL Green’s premier NY properties coming to life. Some of the best-dressed buildings in New York “unfolded” via a parallaxing effect that animated the properties as if they were springing to life out of a pop-up book. The presentation graphics featured a clock that showed what the presenters would be speaking about and when; charts that utilized 3D graphics and google map zoom-ins of the properties; and an Audience Response System that allowed attendees to see pictures of various executives as children, and vote on which executive they thought was which.